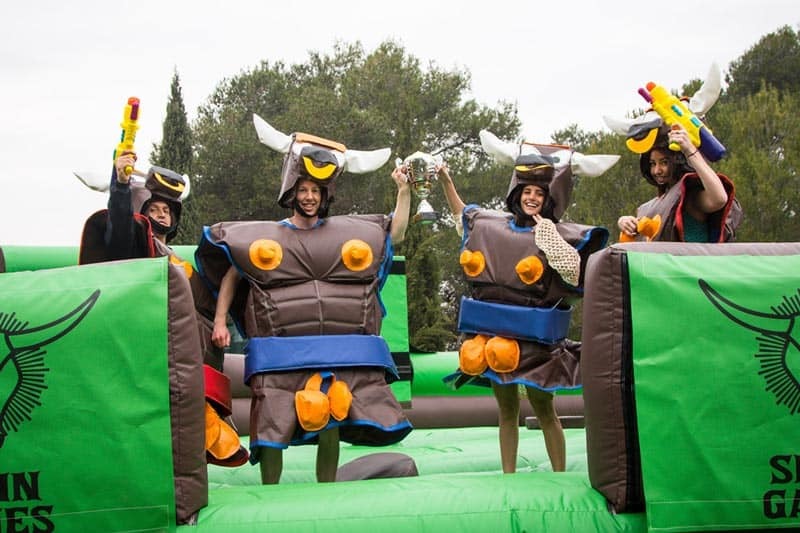 Inflatable Games, Barcelona ~ Crazy challenges for stags, hens & teams! Looking for something completely original for your stag party, hen do or corporate event? 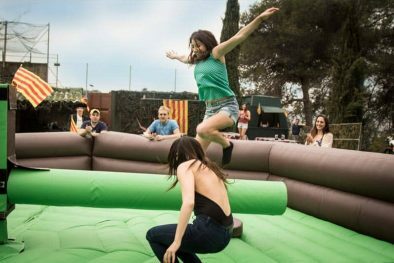 These inflatable games, run by Barcelona Life’s chosen events partner, have become one of the hottest group activities in the city. 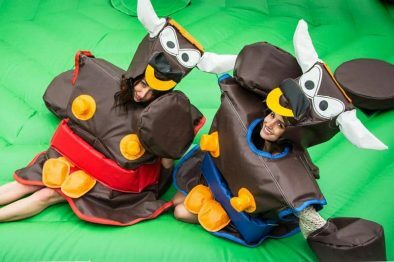 Recently featured on Channel 4’s Coach Trip, these fun and active games channel the silliness of TV shows like It’s a Knock Out with a range of inflatable obstacles and challenges, all tailored with a distinctly Spanish theme. 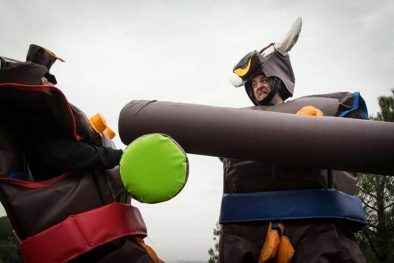 As well as bovine sumo-wrestling suits, there’s also challenges like Basque and Bathe, Sangria Spin, Running of the Bulls and The Spanish Inquisition to contend with. The action takes place in at a specially designed activity centre just 15 minutes drive from Barcelona (the organisers will take care of your transport), where there is also paintball, horse riding and bubble football available on site, as well as changing rooms, a licensed bar and BBQ restaurant. Photographers will chronicle your group’s adventures throughout the day. Prices are very reasonable starting at €39 per person. Get in touch with us via info@barcelona-life.com and we’ll have the organiser’s send you their full offer, with their best prices, and answer any questions you might have.